His power: Havok can shoot out huge blasts of energy from his body, an unpredictable power that he initially needs a containment suit to control. His story: Havok was a prisoner of the U.S. government when Charles Xavier and Erik Lehnsherr approached him to join their CIA-sanctioned mutant team in X-Men: First Class, giving him the opportunity to use his destructive mutant powers for good. Unfortunately, Alex’s hot-headed nature is partially responsible for the death of fellow new X-Man Darwin, who is killed when Sebastian Shaw absorbs Havok’s energy blast and transfers it inside Darwin to blow him up. Havok isn’t too shaken by his role in Darwin’s demise, and quickly settles into his role as one of Charles and Erik’s new recruits, gaining a containment suit that allows him greater control of his powers. He fights with the X-Men to take out the Hellfire Club during the Cuban Missile Crisis, but moves on in X-Men: Days Of Future Past, which reveals that he’s been fighting in the Vietnam War with other mutants. 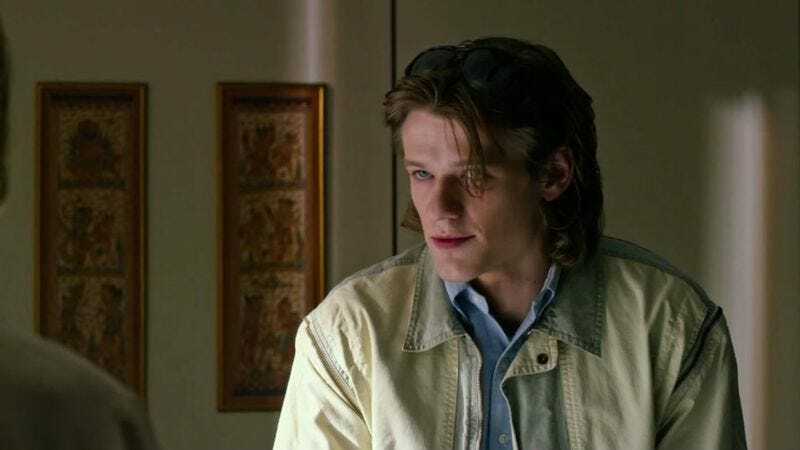 Mystique saves Havok from becoming one of Maj. William Stryker’s test subjects, and in X-Men: Apocalypse, Alex returns to the X-Mansion with his younger brother, Scott, who has just manifested a similarly destructive mutant power as his sibling. Their relationship doesn’t get explored very deeply, though, as Alex gives his life in a failed attempt to save Professor X from being abducted by Apocalypse. Where will we see him next? Unless he’s somehow resurrected or another new timeline is created, Havok isn’t going to be showing up in the XMU any time soon.